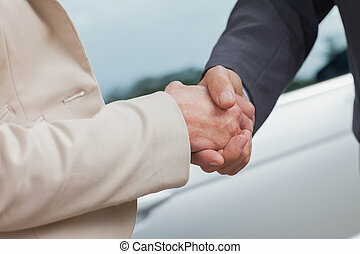 Two business man shaking hands. 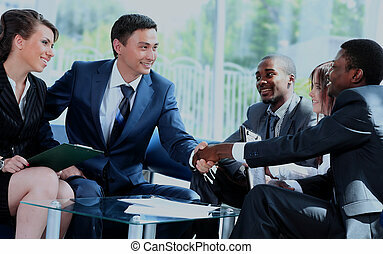 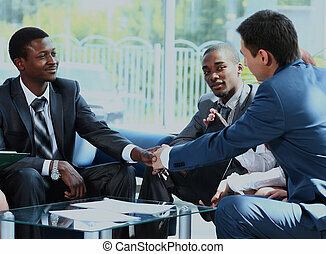 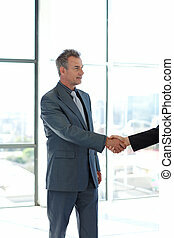 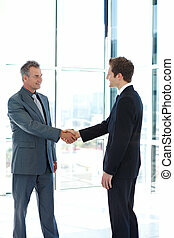 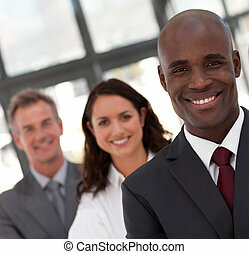 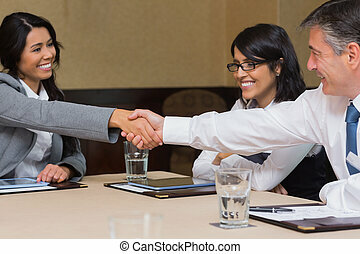 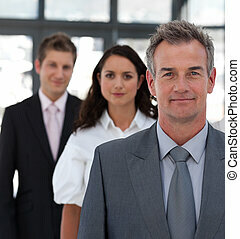 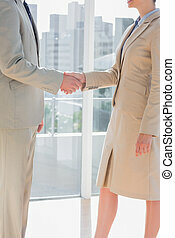 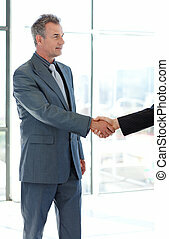 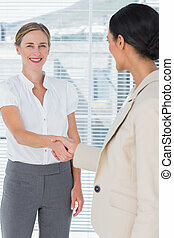 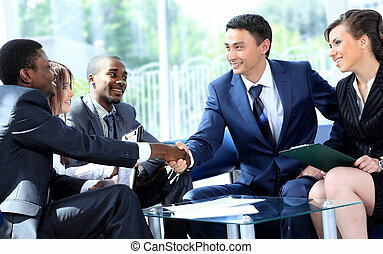 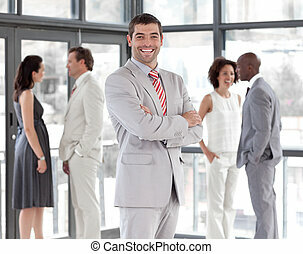 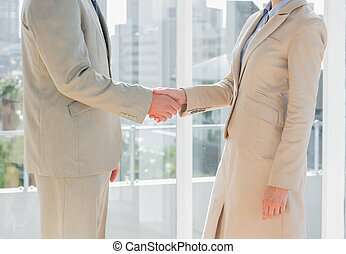 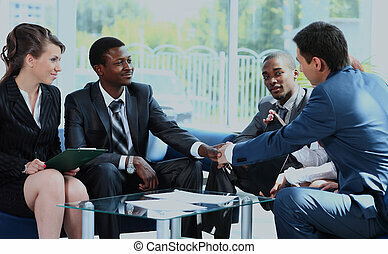 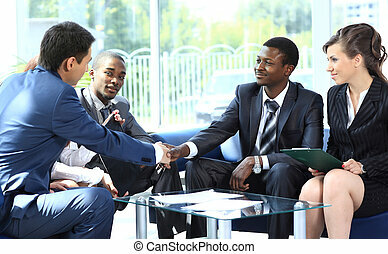 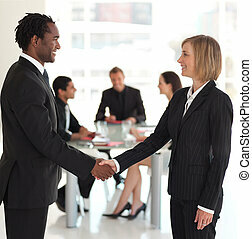 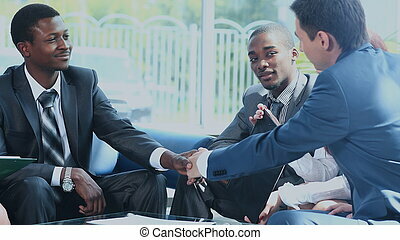 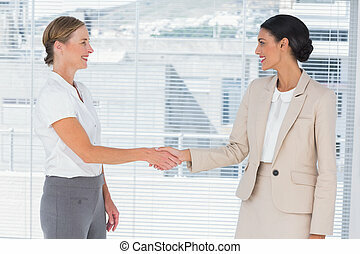 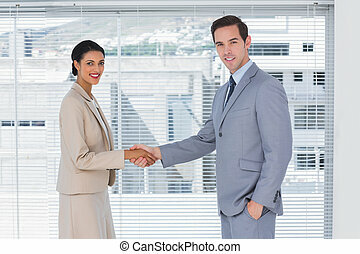 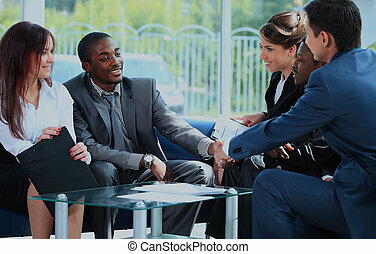 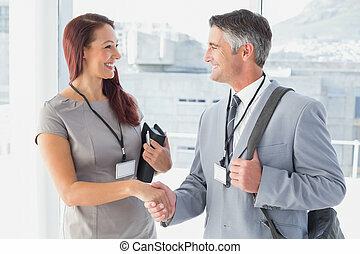 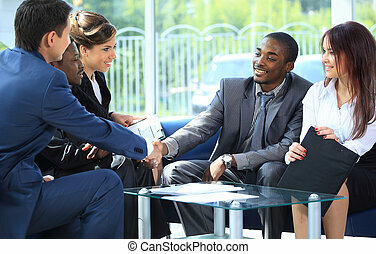 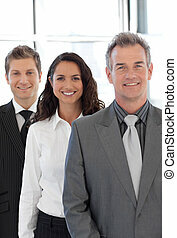 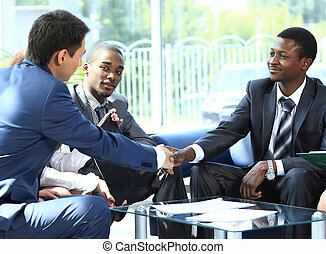 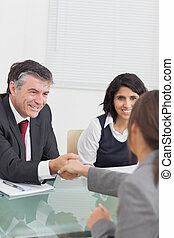 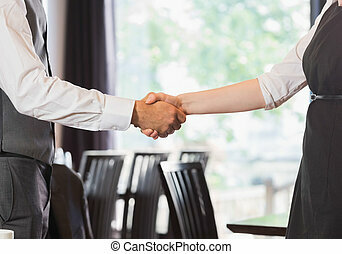 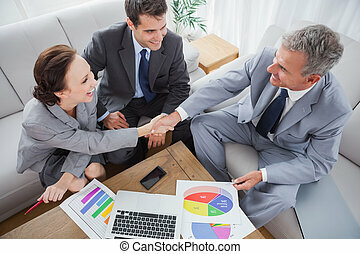 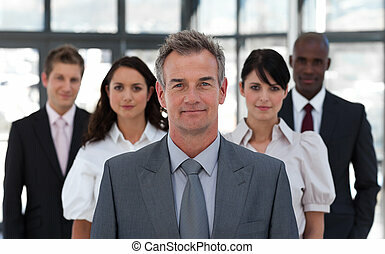 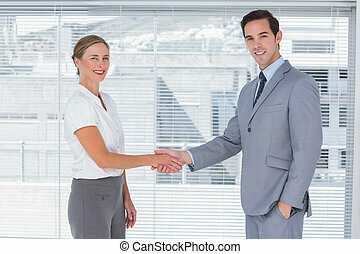 Business people shaking hands after a meeting. 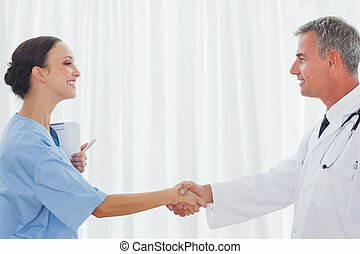 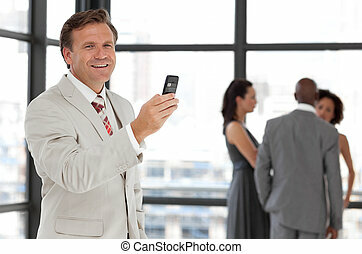 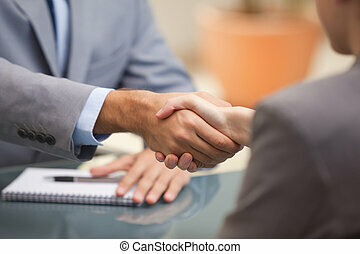 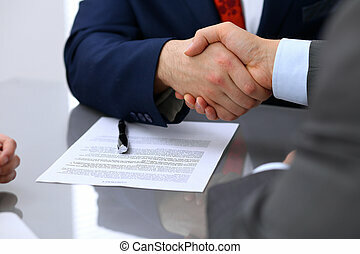 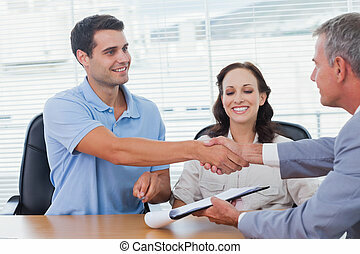 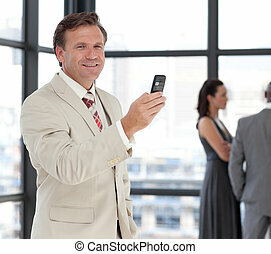 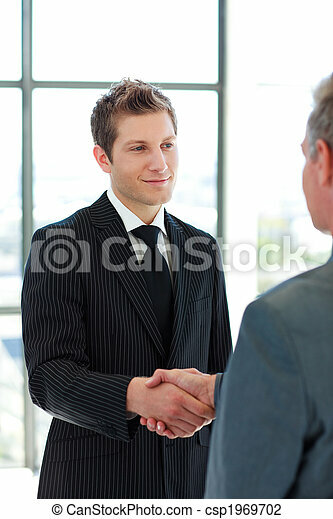 Two business man shaking hands to each other above signed contract.